Tekken is no stranger to guest characters, especially if you look at past installments. Remember Prototype Jack, Unknown, or Mokujin? Those aren’t even some of the strangest characters to show up in Bandai Namco’s popular fighting game. As if guest characters couldn’t get any weirder, the new Tekken 7 character to join the roster is The Walking Dead‘s Negan. 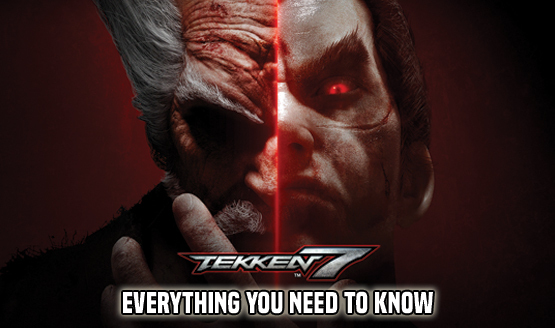 As Evo 2018 came to a close on August 5, 2018, Tekken Director Katsuhiro Harada and Game Designer Michael Murray announced that a second season of characters would be coming to Tekken 7. Harada teased a total of six characters, first starting with Anna Williams and Lei Wulong, before ending with The Walking Dead‘s Negan. The other three characters in this new season remain a mystery. You can check out the Tekken 7 season two pass reveal below. Both Anna and Lei are Tekken veterans. Anna appeared in the first three games, took a break for the fourth, and returned for subsequent installments. Lei has appeared in every Tekken game except the first one. Negan is the oddball here, as his character design, franchise, and fighting style don’t seem to really suit the Tekken series. But just because a character doesn’t belong hasn’t stopped Bandai Namco before, as Final Fantasy XV‘s Noctis made his crossover debut in Tekken 7 back in March 2018. Maybe this is a sign we’ll see more weird characters in the game. Maybe Nathan Drake or the Hunter from Bloodborne could appear? If Final Fantasy XV and The Walking Dead can make it into Tekken 7, what other series would you like to see represented in the game? Tekken 7 is available now for the PlayStation 4, PC, and Xbox One.